1. It is suitable for the tension of multi-strands anchors with 1860-2000 sizes, Φ15.24, Φ12.7 strands. 2. In some certain circumstance it can be used in the working of pushing, jacking and transforming and so on. 3. Easy to operate and used widely. It is matched with prestressed anchorage widely used in the construction of bridge and buildings, railway and subway, water conservancy and hydropower engineering. 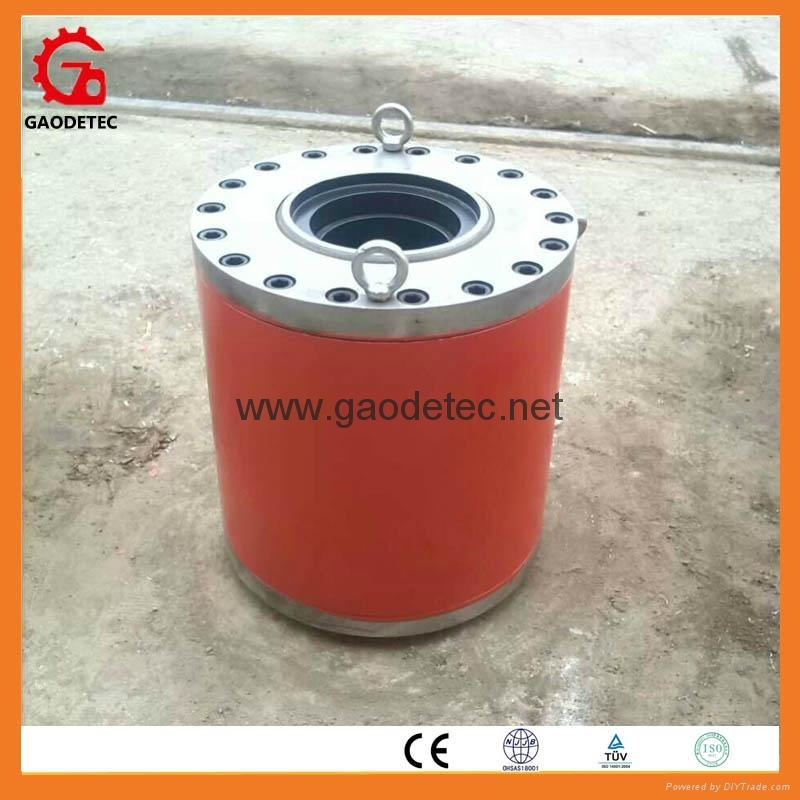 YDC hydraulic cylinder are the new designed products in our company, are the upgrades of the primary ram. 1. Using new seals, to synchronous strengthen the seal-ability under great pressure. 2. 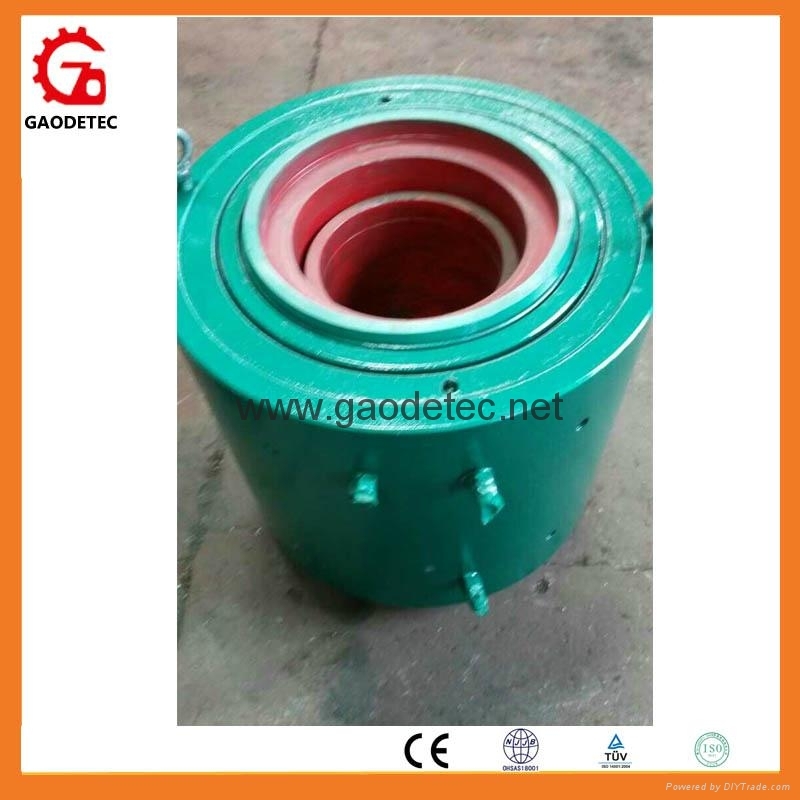 Using special alloy steel with heat treatment process, reducing the cylinder's expansion ratio in the tensioning process. So the life of seals and sealing performance can be improved about 20%. 3. 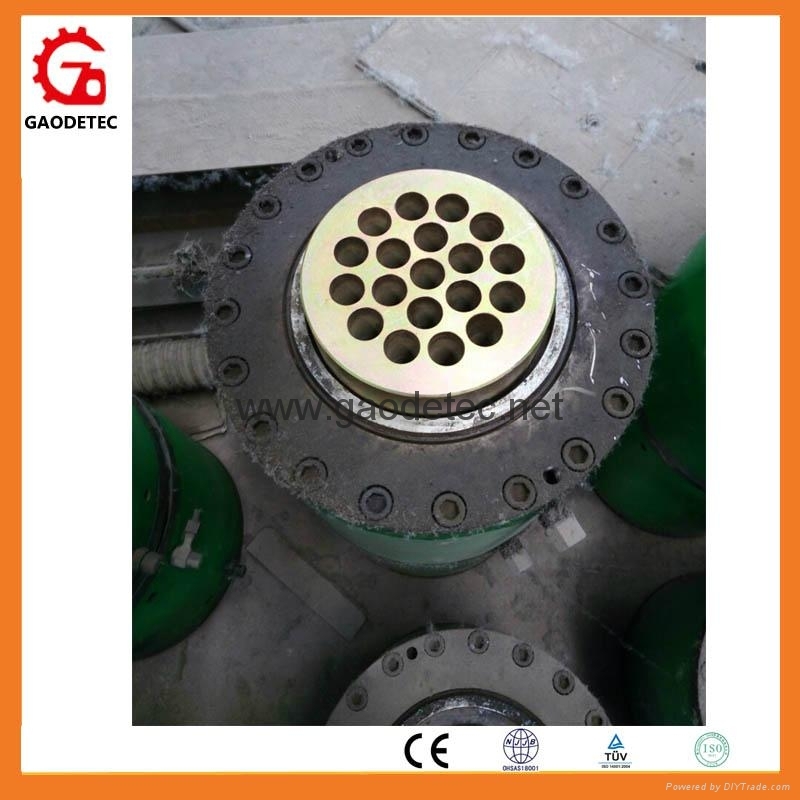 In the tensioning the operating process, hydraulic ram is easily damaged under overpressure because of the jack-based pullback cylinder, so we added the overpressure valve on the jacks to pressure production. Meanwhile we improved the original of commonly used structure by wire disc and flanged disc, to make the bearing capacity for oil pressure strengthen. 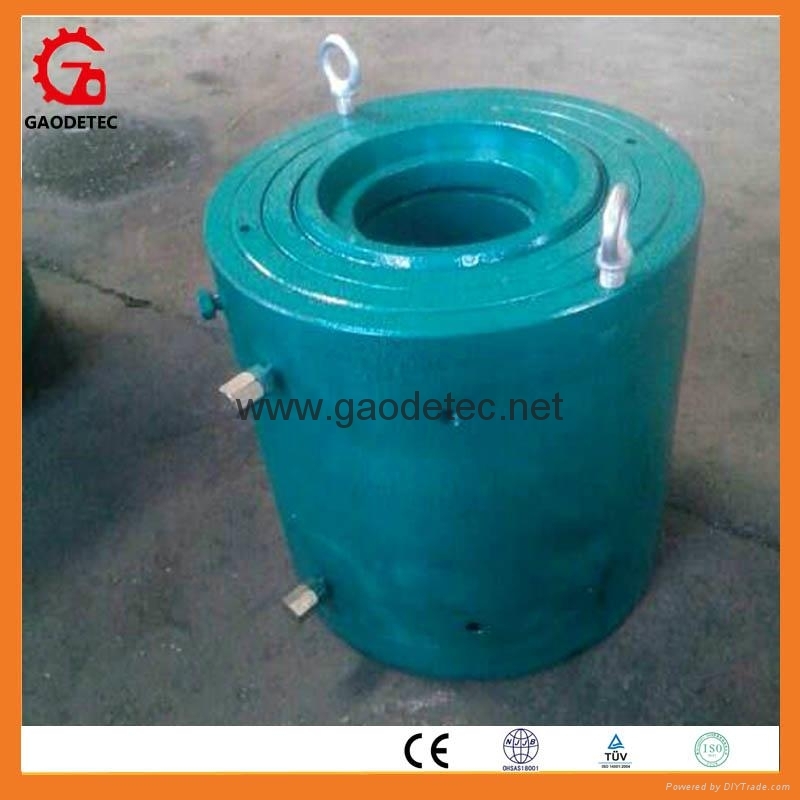 So enormously reduce the possibility of mechanical damage due to improper operation. In the word, the YDC series hydraulic cylinder' performance is improved, and widely used in pre-stressing and post stressing construction.